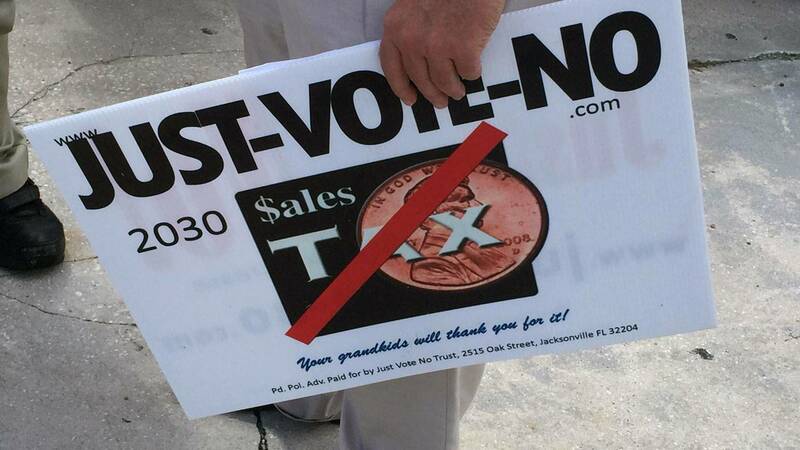 TALLAHASSEE, Fla. - A state appeals court Monday rejected a challenge to a 2016 ballot measure aimed at addressing an underfunded pension system in Jacksonville. The city’s voters approved the measure, which called for a half-cent sales-tax surcharge to help deal with the pension problems. But a group of citizens filed a legal challenge to the measure, including arguing that the ballot title and summary misled voters and that the referendum should be voided, according to Monday’s ruling by the 1st District Court of Appeal. A Duval County circuit judge upheld the ballot measure, and a three-judge panel of the appeals court agreed. “None of appellants’ (the measure’s opponents) various arguments demonstrate that the ballot title and summary are clearly and conclusively defective, or affirmatively misleading,” said the eight-page ruling, written by appeals-court Judge Timothy Osterhaus and joined by Chief Judge Brad Thomas and Judge M. Kemmerly Thomas.